On this week's episode of The Left Wing, Will Slattery and Luke Fitzgerald are joined in studio by Ireland second row James Ryan to discuss the huge win over the All Blacks as well as his phenomenal year. Ryan played a big role in the victory over the back-to-back world champions, and he reflects on the superb achievement after what has been a memorable year for the Irish team. Ryan looks back on his sharp rise in 2018 that saw him win the PRO 14, Champions Cup and Grand Slam, and also talks about the serious hamstring injury he suffered in 2016 that ruled him out for almost an entire year. 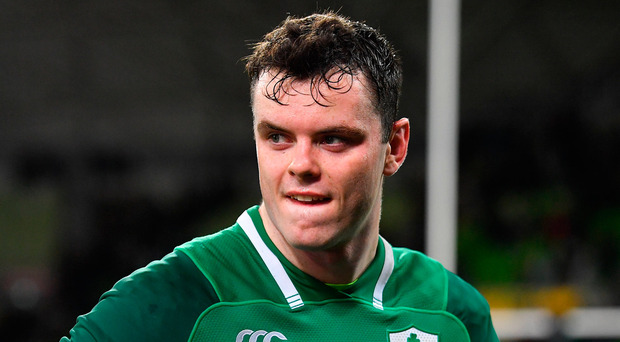 The talented 22-year-old opens up on areas of his game he wants to work on as well as his experience being coached by Joe Schmidt. Luke also looks back on Ireland's win over the All Blacks - including his prediction that Ireland would lose by 15 points!